Disney News and Interviews From The Mouse Castle: Oh Boy, Oh Boy, Oh Boy! Me and Mr. Duck. Happy Birthday, Donald! You know, I really intended to do this quietly. I was going to gradually ramp things up and see if you noticed. Then I realized it was all going to start on Donald Duck's 80th birthday. Donald Duck doesn't do subtle. Never has. Never will. So, I guess I won't either. It's a brand new day at The Mouse Castle. I've been puttering along with this blog in its various iterations for over five years. It's been fun playing around with this decidedly mixed bag of news, movie and product reviews, interviews, commentary, and, well, whatever I felt like writing about. But, it's always been a part-time passion for me, a glorified hobby that more times than not took a backseat to my day job, which wasn't even remotely related to Disney. That meant a lot of stories I wanted to write about went unwritten because I simply didn't have the time. I loved blogging, but I was frustrated by what I couldn't get to. 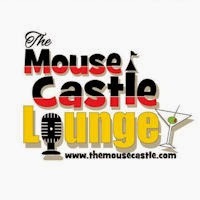 When I launched The Mouse Castle Lounge podcast in October 2012, it was also something I worked on part-time. It was hectic shoehorning interviews and late night editing sessions into an already busy home and career schedule. Make no mistake, though, I loved every minute of it too and I take great pride in knowing I managed to produce over 60 shows on tight time constraints and shared wonderful guests with you like Diane Disney Miller, Don Hahn, Pat Carroll, the Bancroft Brothers and Marty Sklar. But, yeah, there were frustrations. Too many times I felt rushed and not fully prepared to do interviews. Rushing home on an extended lunch hour is not the best way to interview John Canemaker. But, you know something? I interviewed John Canemaker! I must be doing something right. Which brings us to today, Donald's birthday. This is the duck who beat down Mickey Mouse's "William Tell Overture" with "Turkey in the Straw" on his fife. He's a feisty one, that duck. Right or wrong, he never backs away from a challenge and he can totally rock "Mary Had a Little Lamb" in front of an audience of bratty orphans. So, in honor of Donald Duck's inimitable, irascible style on his 80th birthday, I'm happy to announce that starting today, The Mouse Castle is now a full-time enterprise. I've finally put the workaday grind behind me to devote myself completely to this weird and wonderful corner of Disney fandom. You're stuck with me now, people. Get used to it. It means more news, more reviews, more interviews, more ME! It means more hanging out in the best place around to share your Disney nerdiness...and then joining me for a cocktail or two. It means that after a month-long hiatus, The Mouse Castle Lounge will be back later this month with even more terrific guests. I could tell you more, but even I haven't figured it all out yet--and that's the most exciting part of all. Stay tuned. I have a few projects going on behind the scenes that I'll reveal when the time comes, but for now, just take a step back inside The Mouse Castle and let's have some fun.